In the heart of north Scottsdale, Silverleaf is tucked into the canyons of the McDowell Mountains. Silverleaf is a private enclave, featuring a Tom Weiskopf Signature 18-hole championship golf course. The 50,000-square-foot Clubhouse is highlighted by world-class spa facilities, fitness center, fully appointed men's and women's locker rooms, full service golf lounge areas, as well as fine and casual dining. Silverleaf has been created to provide an experience to our members and guests unlike any other in the region. 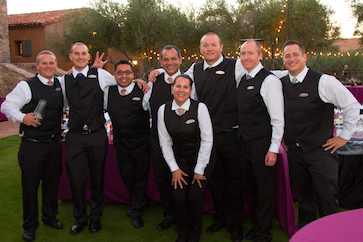 Our mission is for every Silverleaf employee to seek opportunities to create memories by anticipating needs, exceeding expectations, and building relationships. We strive to provide a positive work environment, where our staff have "The Ultimate Experience" and truly believe that this is "The Place To Be."